In a half-hour-long press conference delivered this morning (exactly one week since the shooting at Sandy Hook Elementary School in Newtown, CT), the National Rifle Association claimed that the incident was caused not by an overabundance of firearms, but instead by the prevalence of violent video games in American society, as well as violent movies and even music videos. 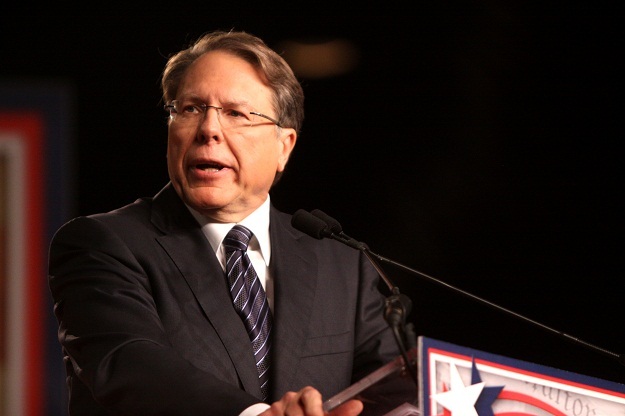 Further, NRA CEO Wayne LaPierre stated that the only way we can hope to avoid further mass shootings like the tragedy that occurred at Newtown is not to remove the average citizen’s ability to acquire a gun, but instead to ensure that other, hypothetically “better” citizens are able to arm themselves as they (and the NRA) sees fit. “The only thing that stops a bad guy with a gun is a good guy with a gun,” LaPierre said. “The only way — the only way — to stop a monster from killing our kids is to be personally involved and invested in a plan for protection.” In an effort to convince Congress of the plan, the NRA has set up a website with the express purpose of installing armed security guards in schools, churches, and any other place where large groups of normally peaceful people congregate. “What if, when Adam Lanza [Newtown, Connecticut shooter] started shooting his way into Sandy Hook Elementary School, he was confronted by qualified armed security? 26 innocent lives might have been spared that day,” LaPierre said. “With all the foreign aid … with all the money in federal budget … can’t we afford to put a police officer in every school?” Of course, LaPierre fails to mention that a number of America’s most notable mass shootings occurred in places where armed guards were already stationed, including Columbine High School and Texan military base Fort Hood. The hypocrisy here is thick enough to absorb hundreds of rounds from even the most powerful assault rifle. Given the broad, largely bipartisan outcry spawned by the Newtown incident, in which most cite the shooting as a long-overdue admonition that America’s laws regarding gun ownership and availability need intense, rational scrutiny, the NRA’s claims ring undeniably controversial. LaPierre, realizing this, stated that the NRA waited this long to release its commentary out of respect for the victims. The group was attempting to remain “respectfully silent” during this time, LaPierre said, before two protesters interrupted his speech, prompting LaPierre to prematurely and abruptly end the press conference. Whether you’re inclined to side with LaPierre and the NRA or not is entirely up to you. America’s Constitutionally guaranteed free speech ensures that, just as it protects all forms of video games. However, there are a number of politically neutral scientific studies which refute LaPierre’s statements. A report published earlier this year by the American Psychological Association found no evidence of a tangible link between exposure to violent media (specifically video games) and violent tendencies. It also states that the researchers found no evidence tying violent games to feelings of aggression, hostlity and suicidal/homicidal depression. Echoing these claims is another 2012 study (.pdf) published by the Journal of Youth and Adolescence which finds no link between real-world violence and violent video games. Instead, the report claims, these sorts of games can actually improve a player’s cognitive abilities, particularly in the areas of visuospatial recognition, math and physics. As something of an intriguing, suddenly topical aside to this issue, the NRA’s crusade against violent video games stands in direct contrast to the group’s other most notable involvement in the gaming industry. 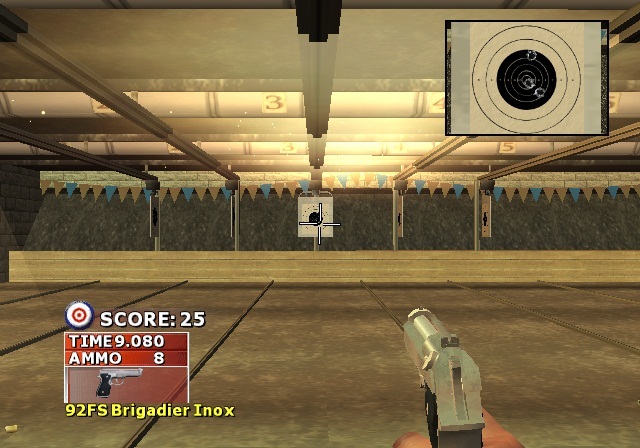 As The Escapist points out, in 2006 the NRA teamed with developer Jarhead Games and publisher Crave Entertainment to create NRA Gun Club, a first-person shooter available for the PlayStation 2 that while objectively terrible exists purely to promote the NRA’s safe, largely target-shooting-focused belief in how legitimate gun owners should act. LaPierre made no mention of this title, nor the NRA’s involvement in the development of the project, during this morning’s press conference. For that matter, LaPierre also failed to mention the role that America’s deficient attempts at making mental health care readily available to its citizens may have played in the Newtown shooting. Then again, with only half an hour to cover all of the NRA’s talking points, perhaps LaPierre simply forgot that his group was more than willing to utilize the popularity of video games and the first-person shooter genre as a whole at a time when it seemed politically convenient.